Cloth wipes, like cloth diapers, are popular with a growing number of parents. They reduce waste going in your trash cans every day, save you money at the store, and can be better for babies (even adults) with sensitive skin. Cloth wipes work in the exact same way as disposable wipes. The only difference is cloth wipes aren't pre-moistened. You wet individual wipes with a spray bottle mixture I talk about here before you use them. 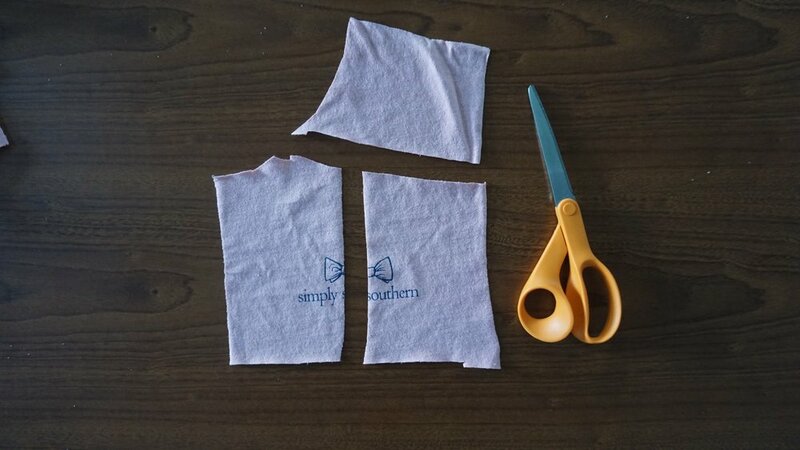 Do you remember when we were making our no sew paper towels and we put aside half of a t-shirt? This is the project you're going to use them for. Just a forewarning: these aren't going to be super pretty, professional-looking wipes. The point of using old items around your house is to use as much of it as you can for as long as you can. I'm going for practicality here while throwing away as little as possible. 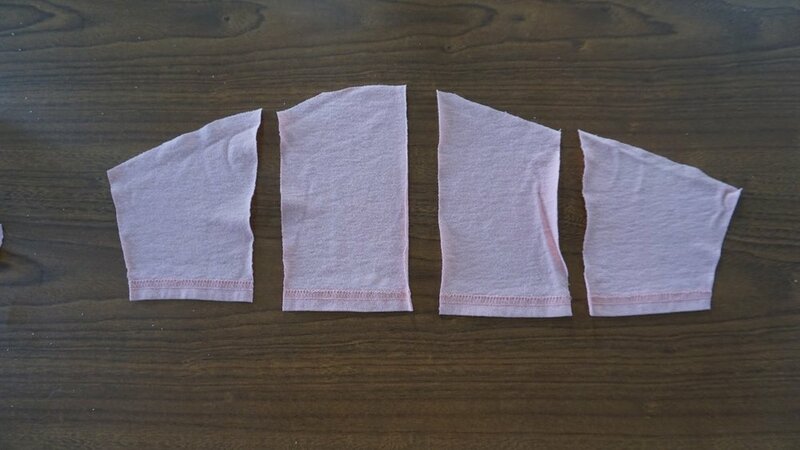 Lay the upper half of the t-shirt down on a flat surface. From the shoulder seams that connect the sleeves to the shirt, cut straight down. Lay the arm sleeves aside. Open the shirt and lay it flat. Cut along the seam lines of the shoulders and neck areas. You will end up with two pieces of fabric. Cut the front and back portions of the shirt into whatever size you want. I did 6 pieces for the front portion and 8 for the back. For the arm sleeves, cut along the seam that would touch your inner arm. Cut off any seams from the shoulder seams that may still be attached. You will have one long piece of fabric. 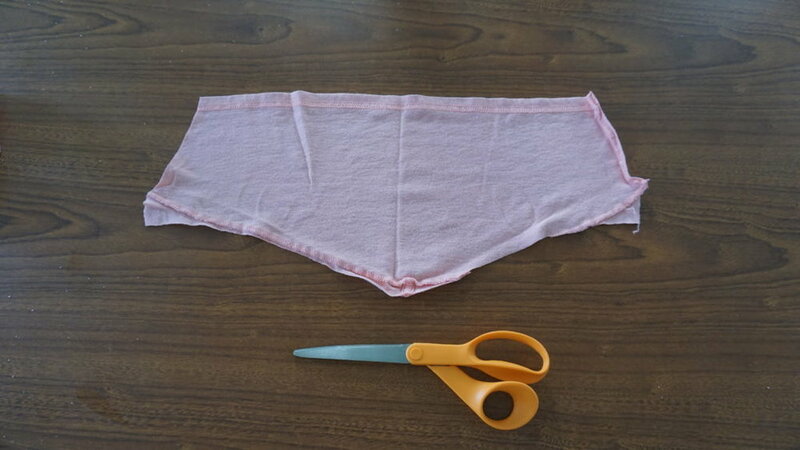 Cut both pieces of fabric in half. Then cut them in half again. I was able to get 8 pieces from both arm sleeves. Like with the no sew paper towels, you have tons of options for storing your cloth wipes. You can keep them in a travel wipe container, plastic wipe box, or a mason jar. For the wipe solution, check out my post here. Cloth wipes require no special attention. You can easily toss these in the washer with your diapers on wash day. Instead of throwing out a whole t-shirt, you've only thrown out the major seams! Talk about some serious waste reduction. You could possibly even use the seams for something else around the house. Let me know if you do!